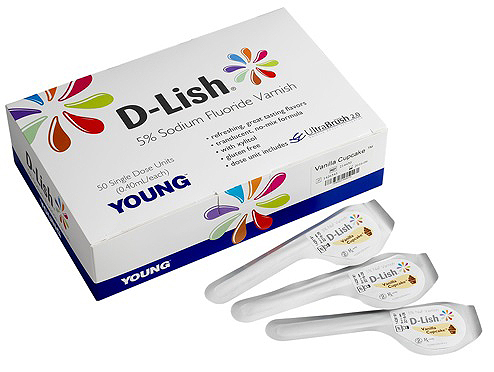 D-Lish® 5% Sodium Fluoride Varnish offers sensitivity relief and protection in four signature D-Lish flavors. Made with the highest varnish fluoride concentration available in a smooth, translucent formula. 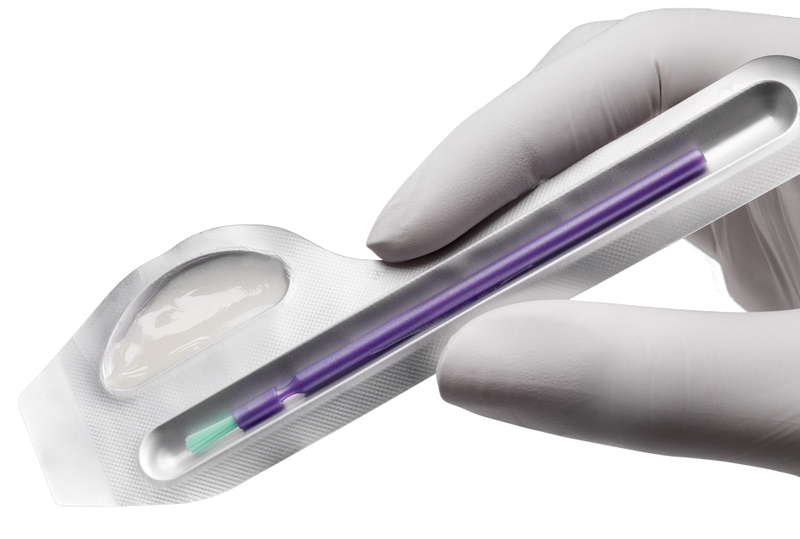 Single-dose packages are uniquely shaped for easy handling. Gluten-free; pre-mixed; 5% sodium fluoride ion; xylitol.